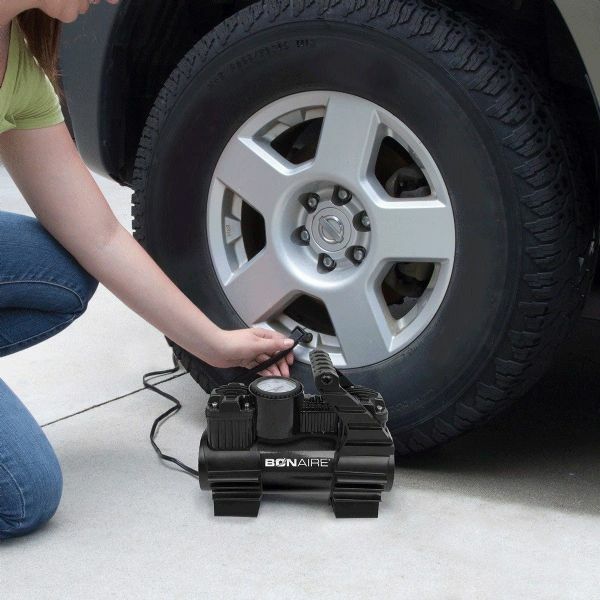 This Bon-Aire 12V Inflator easily plugs into your vehicles 12V power outlet to conveniently inflate car tyres, bike tyres, sports equipment and more. 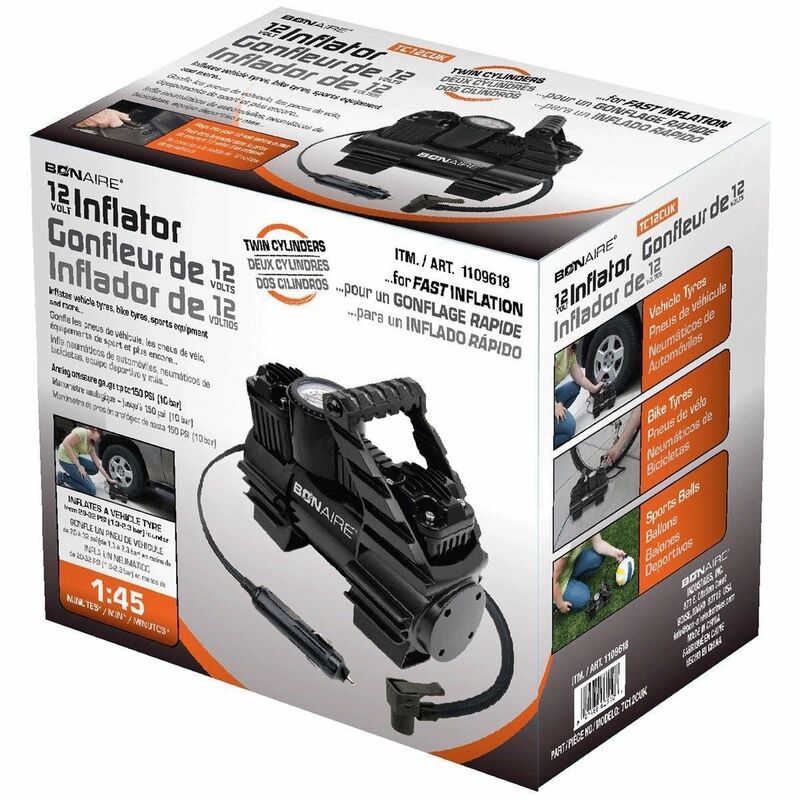 The twin cylinder design delivers fast, powerful inflation that is smooth and virtually vibration free. 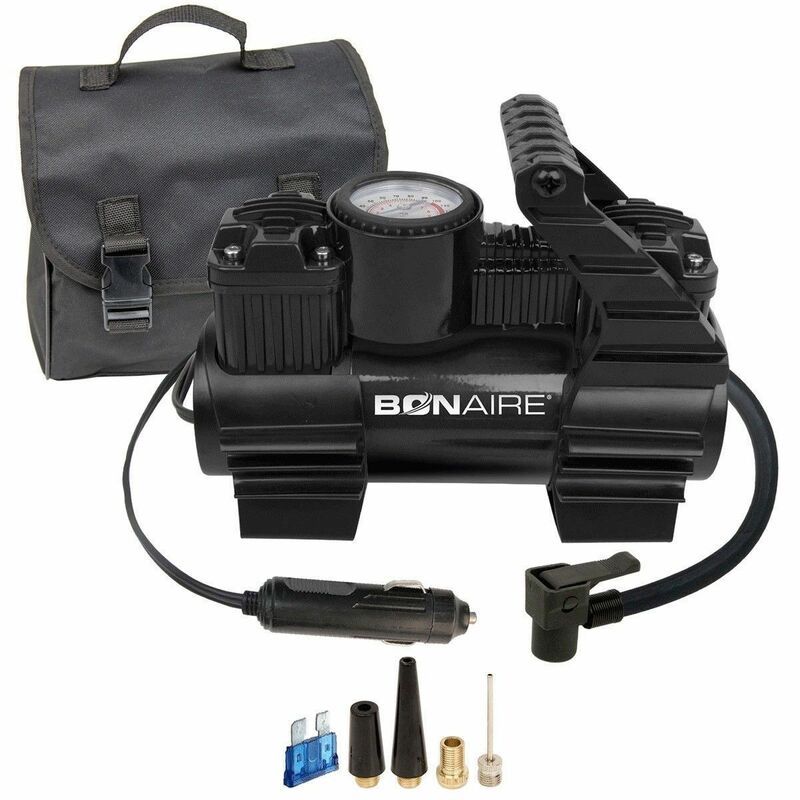 It has a 150 PSI (10 bar) easy to read analog pressure gauge. 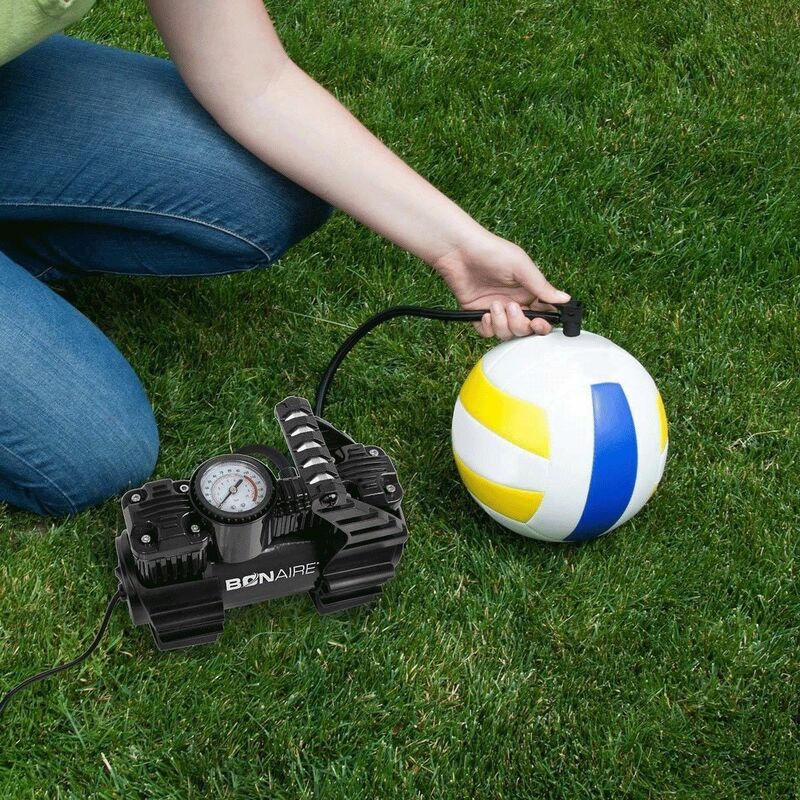 The 5 metre, 12V power cord and 1 metre rubber air hose combine for 6 metres of total reach. The inflator has a built in carrying handle and comes with a durable carrying bag.